It’s one thing discovering that your child needs prescription lenses…they complain of headaches, tell you they have trouble reading something close up or seeing a sign that is far away…and eventually you take them to the eye doctor to learn that your young one needs some corrective lenses. However, even if your child already has their conventional prescription glasses, there is a good change that they will need something a bit more durable with some special safety features. After all, kids tend to be far more active than adults so when they are with their friends on the playground, playing in their basketball or soccer game, or heading to gym class at school, it is a good idea for them to have some prescription safety glasses instead of their regular glasses. Making an investment in safety glasses means never having to worry about their regular glasses breaking or not doing a good enough job of protecting your child’s eyes. You can save the regular glasses for their downtime, when your child is reading a book or doing their homework. If you are thinking about investing in a pair of prescription safety glasses for your child, here are a few signs that your son or daughter might need them. Your Child Plays Sports: This is probably one of the most obvious signs that your child could use some prescription safety glasses instead of conventional prescription glasses. When your child plays sports, specifically sports such as baseball, soccer, basketball, football, or tennis (to name a few), you won’t want them to be wearing conventional prescription glasses that are undoubtedly more fragile and prone to breaking. With safety prescription glasses, the durable material (polycarbonate and nylon are always great) guarantees that neither the frames nor the lenses will break while your child is playing sports. 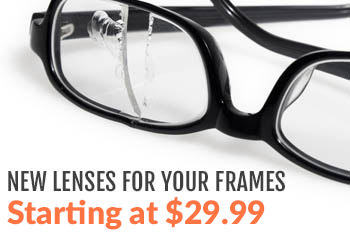 Additionally, you should look for prescription safety glasses with important safety features such as shatterproof lenses, a scratch-resistant coating, anti-fog coating, and rubberized, non-slip temple bars and a nose bridge. 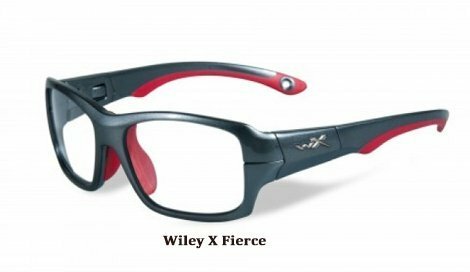 All of these features will make the glasses even safer for your child to wear when he or she is running up and down the basketball court or scoring a goal during their soccer game. Lastly, you might also want to consider prescription safety glasses that come with a head strap so that your child will never have a problem with their safety glasses slipping off in the middle of the game. Your Child is a Toddler: If you found out your that child needed prescription lenses at a very early age it’s a good idea to skip conventional prescription glasses altogether and just get them prescription safety glasses. As the parent of a toddler, no one needs to tell you that children of that young age are a bit more accident-prone than older children. If your young glasses-wearing toddler is quite the little adventurer while still learning how to walk without falling, a pair of prescription safety glasses would make a wise investment. And once your child is a little older, you could start to think about regular prescription glasses. Deciding to buy your toddler-aged child prescription safety glasses first thing will save you money in the long run and give you greater peace of mind knowing that he or she is able to see clearly and not accidentally hurt themselves as much or break their glasses. purchase them a pair of prescription safety glasses so that they don’t run the risk of breaking their conventional glasses that they wear for quieter activities. You Have a Son or Daughter Who is Going to School: We just discussed how beneficial it is for your toddler-aged child to have a pair of safety prescription glasses instead of regular lenses and now we will touch on how prescription safety glasses are also important for older, school-aged children. Whether your son or daughter is going into the first grade or starting middle school, prescription safety glasses are a good idea for a number of reasons. While they are away all day at school, you will have greater peace of mind knowing that they are wearing sturdy, highly durable glasses when they are getting to and from class, socializing with friends, and of course, heading to gym class. Even if your child doesn’t participate in any organized sports, they will be heading to gym class a few days every week and it is important that they have the appropriate eye wear to help them see clearly, protect their eyes, and not break their glasses during their gym class activities. Your Son or Daughter Spends a Lot of Time in the Sun: If your young child or teen is routinely outdoors for sports, playtime, work, or any other activity, having prescription safety glasses will be of tremendous benefit to their eyes. 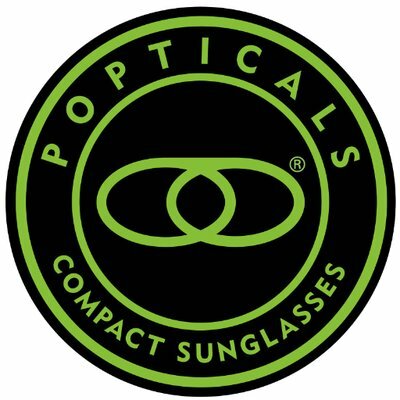 This is primarily because the specialized lenses in prescription safety glasses offer complete protection against harmful UVA and UVB rays, something that regular prescription glasses simply can’t do. If you want to make sure that your child’s eyes are not exposed to sun damage, invest in a pair of prescription safety glasses so that they can wear them for all of their outdoor activities. You Want to Protect Your Child’s Eyes From Harmful Radiation: The sun isn’t the only thing that could damage your child’s eyes. If your son or daughter gets a lot of screen time either browsing through their smartphone, watching television, playing video games, or using a laptop for homework research, you may want to get them a pair of prescription safety glasses. Instead of harmful wavelengths affecting your child’s eyes, the special safety lenses will absorb the wavelengths from the light of the screen and shield their eyes from them. Spending too much time in front of a computer screen (which is something all of us do in today’s technologically advanced and smartphone dependent day and age) will cause your child’s vision to become even more compromised over time, thus leading to stronger prescriptions each year. But if your child is using their mobile device while wearing their prescription safety glasses, you can be sure that their eyes won’t be absorbing the radiation. Looking for more information on prescription safety glasses for your child or are you in need of some eye wear for yourself? Don’t hesitate to contact us today with any questions that you might have? We are committed to helping everyone, man, woman, and child, get the eye wear they need to accomplish the things that they need to do. Whether you are looking for prescription safety glasses for your athletic child or eye wear for motorcycle riding, target practice, fishing, or any other outdoor recreational activity, we are here to help! We can also help you find safety glasses for professional work including welding, construction, and everything in between. Children can be resistant to the idea of wearing sports goggles for fear of “looking funny” when they play, but safety is important and they should be made aware of the consequences of not wearing proper safety glasses. Thanks for sharing the article.